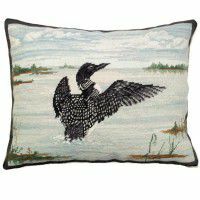 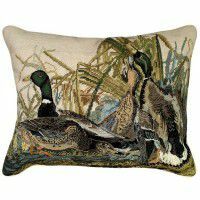 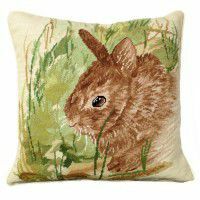 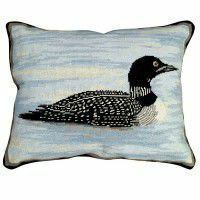 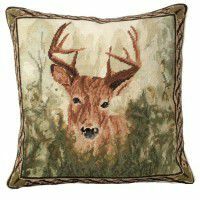 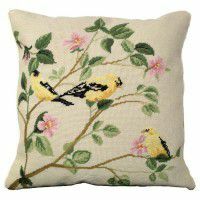 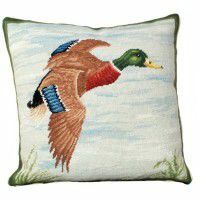 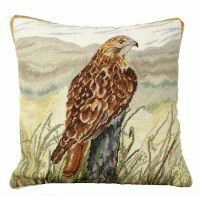 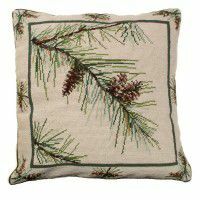 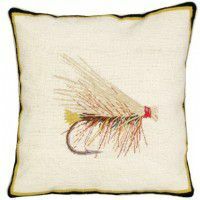 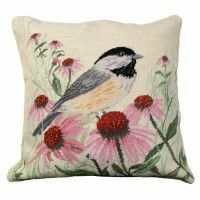 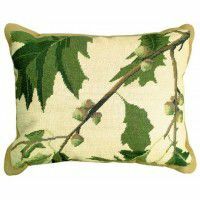 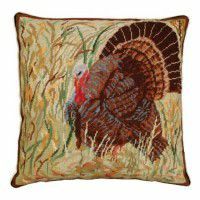 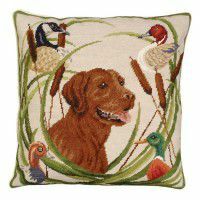 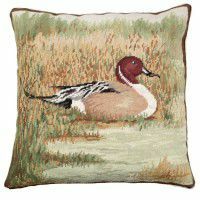 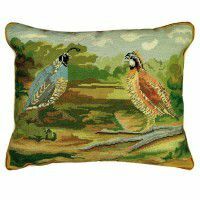 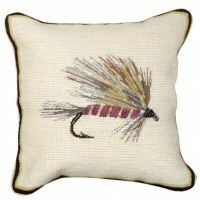 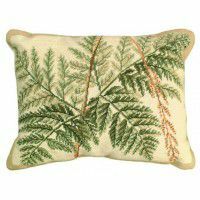 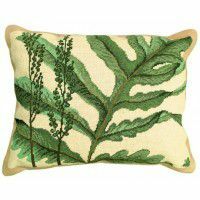 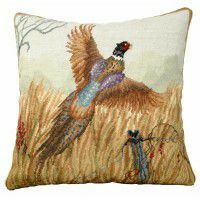 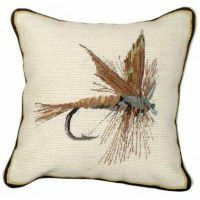 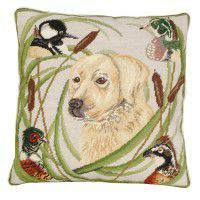 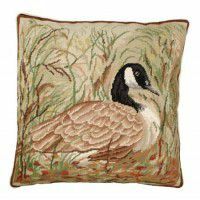 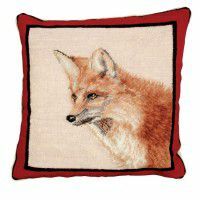 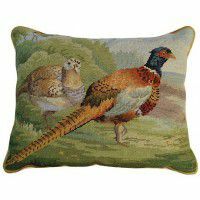 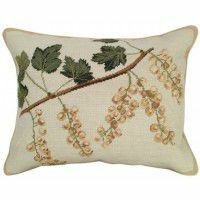 Hand made needlepoint pillows can add that at home look to your rustic cabin home. 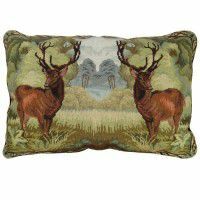 Generously size pillows that feature bears, moose and elk are colorful accents to any lodge decor. 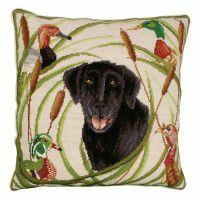 Other selections include leaves, birds and fishing lures.